​Make it an Unforgettable Summer! Summer Programs with Flexibility to Fit Your Life and a Financial Model to Fit Your Budget! We are excited to announce the introduction of new, more flexible scheduling options and helpful ways to save with reduced fee schedule, membership perks, renewal rate discounts, and sibling discounts! 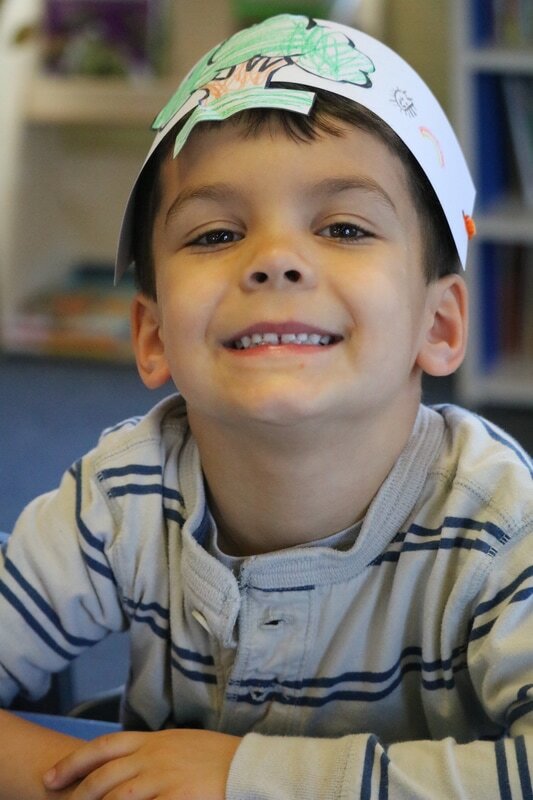 Mini Campers, Ages 3 years old and toilet trained to 5 years old and not yet in kindergarten, M-F, 9:00 a.m. to 12 p.m.
​Mini Camp provides half-day child care and organized recreational programs during July and August. 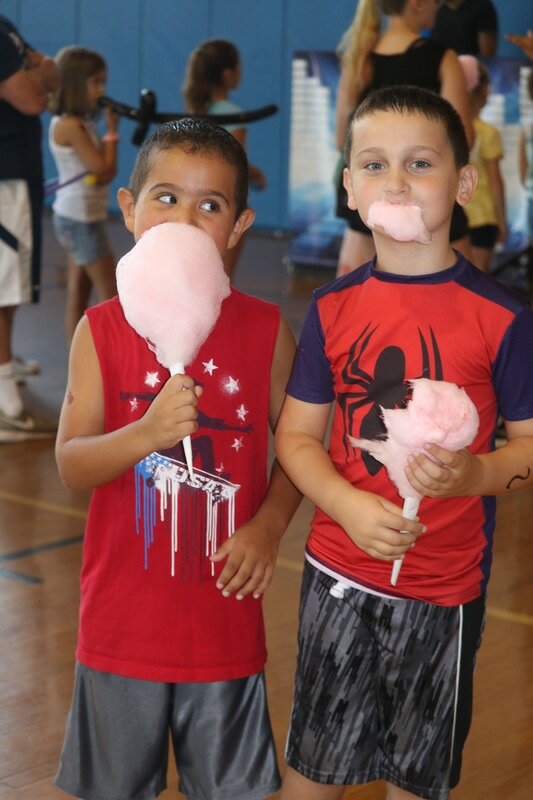 Campers enjoy a wide range of entertaining, fun and engaging activities. Weekly themes add a primary focus that helps keep camp new and refreshing for campers attending multiple weeks. All weeks are packed with games, music, art projects, sports and exciting activities. Grades K-7, M-F, 9:00 a.m. to 3:00 p.m.
Our traditional camp provides a summer program that meets the needs of almost all families. 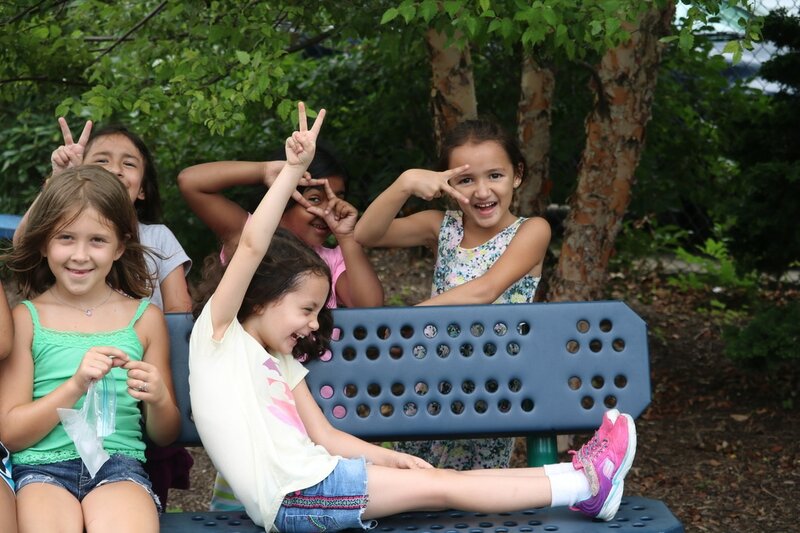 Our Summer Camp provides full-day child care and organized recreational and enriching programs during the months of July and August. Activities include gym time daily and outdoor activities to promote physical fitness and fun; access to the gamesrooms; kitchen, arts and crafts, computers/technology and movie time. Campers must have completed kindergarten and not started 8th grade. Your child will come home tired each day from the fun they’ve had and be eager to share their experiences and adventures. With guidance from our dedicated camp leaders, your child will be encouraged to try new things, climb to new heights, create, explore, and imagine. Kid-friendly meals at lunchtime are served for an additional charge. To assure supervised care for every child in our community during the summer months, the Boys & Girls Club provides scholarships to eligible children. Five-Day Meal Plan: The Boys & Girls Club offers a meal plan option for those campers in grades K-7 who attend a full day of both morning and afternoon sessions for an additional fee of $25 per week. The lunch meal plan must be purchased the Monday prior to your child’s start date. If you decide, for whatever reason, to pack a lunch or additional snacks, please leave out any products containing nuts for the safety of other children who may have severe allergies. Sample Lunch Menu: Chicken nuggets, English muffin pizza, grilled cheese, pasta with marinara sauce, macaroni and cheese, or pizza. Sample Vegetarian Menu: Whole wheat bagels with cream cheese, cheese sandwich, raw vegetables with dip, cereal, yogurt, bean burritos, cottage cheese, cheese tortillas, or vegetable soup. This summer, the Club is excited to offer a new format for summer camps. Campers have the option of attending morning and/or afternoon sessions for the week. Your kids will have a blast long before and after the regular camp day begins and ends in our extended care program. Age-appropriate activities will include center-based and free-choice time and outdoor play, along with an afternoon snack. The snacks are included at no additional cost. Snacks may vary per day and may include any of the following: pretzels, animal crackers, apple slices, fruit cup, muffins, applesauce, Jell-O, yogurt, cheese, or graham crackers. Signing up for extended care is a simple part of the camp sign-up process. For a nominal fee, extend your camper’s stay under the supervision of our counselors. Before Care Extended Day: Monday through Friday, 8:00 a.m. to 9:00 a.m.
After Care Extended Day: Monday through Friday, 3:00 p.m. to 6:00 p.m. In the interest of making our camps more accessible to families, we are offering afternoon sessions of summer camp, as well as the option to register by the day. Take advantage of our flexible scheduling and sign up for an afternoon camp, or register for both Afternoon Adventures and Extended Day for Non-Campers and stay all day. Choose the camp and session that best fits your family’s needs this summer! Afternoon Adventures - Grades K-7, 12:00 p.m. to 3:00 p.m.
Extended Day for Non-Campers - Grades K-7, 3:00 p.m. to 6:00 p.m.
Sign up by the day! You may now choose any days over the course of the summer. Days do not need to be consecutive or chosen in weekly increments. Sibling discounts do not apply to the Day-By-Day Camp option. Advance registration is required. Fill out the form below to learn more about our camp or to sign up for our Newsletter!